Active Access is the name in Scotland for all Access Platform Hire Requirements. 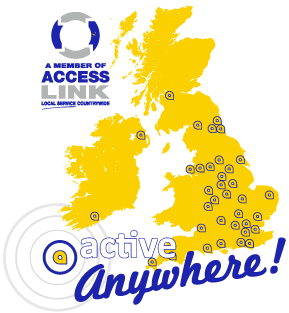 As Scotland’s premier access equipment hire company, Active Access delivers equipment daily all over Scotland. If you need it we can get it to you quickly and at the right price. Modern, safe and reliable machinery with brilliant service and support. Looking to hire a Cherry Picker, Scissor Lift or Tracked Spider? If you are searching for powered access platform hire, such as cherry pickers, scissor lifts, boom lifts, hydraulic platform, tracked spider platform, man lifts and hoists, then look no further. Active Access is ideally placed to supply you with the machine to meet your requirements throughout Scotland and across the UK. Active Access is one of the most experienced access platform rental companies in the UK and are not only committed to supplying you with the latest powered access equipment but also delivering a level of service that exceeds our customer’s expectations and provides excellent value for money. Unlike the competition we don’t have minimum hire periods. If you only need it for a day you only need to hire it for a day. Our mission is to provide the right equipment at the best possible price, without exception! With our own in-house Training Centre, Active Access can offer first class IPAF operator and PASMA tower training to provide further support when it comes to training operatives on the safe use of a powered access machines and working at height. By investing in a fleet of modern and reliable delivery trucks, our customers are now benefiting from flexible delivery and uplift times. Our drivers work on staggered shift patterns to allow us to deliver and uplift machines early in the morning or after hours at night. We also cover the whole of Scotland, from east coast to west coast, the borders to Aberdeen and Inverness. Our delivery service is unrivaled in the industry, so if you need the machine, we will get it to you! We are part of the Access Link network which enables us to provide coverage for the whole of the UK and Ireland. To further complement our hire services and to maximise your operative’s safety on site, we offer a range of hire accessories such as Ground Boards, Harness & Lanyards and Sanctuary Zones. These can be delivered with the machine on your request. We believe that we offer the best all-round package of equipment hire and training options in Scotland. To find out more give us a call anytime on 01698 281 190. Formed in 2003, Active Access Limited was acquired by the ZL Group Ltd in 2017 with the aim of being the leading independent provider of cherry pickers, scissor lifts, booms and tracked spiders lifts in Scotland. We will continue to grow and develop , primarily through organic growth, but also by making strategic acquisitions to keep us at the forefront of the industry.